Its a pleasure to be here today to talk to you about trade. I do so at an interesting time, for the prevailing consensus in New Zealand on trade is subject to more debate than it has been for many years. It’s a pleasure to be here today to talk to you about trade. I do so at an interesting time, for the prevailing consensus in New Zealand on trade is subject to more debate than it has been for many years. There’s some irony in this. We have just completed one of the most comprehensive and valuable trade deals ever for New Zealand, with benefits in growth, exports, and jobs beyond what we’ve seen before. But it is clear that the role that our trade plays in the well-being of all our people is not well enough understood – we need to tell the story better. Because it’s a very good one. I view this as one of the key roles that I have – to better make the case with the New Zealand public of why trade openness and trade agreements are vital for the success of New Zealand business and the prosperity of New Zealanders. We say it lot, and it deserves repeating: we will not prosper selling to ourselves. We cannot shut ourselves off from the rest of the world. We’re a long way from some of our key markets, we have a small domestic market and, in almost everything, we produce more than we can consume. We are an efficient producer of products that some of our trading partners want to protect from competition. And we’re a big trader in some products where trade is a small part of international production – here, of course, I am talking about agriculture. FTAs have delivered material wins for New Zealand over the past two decades. Currently we have FTAs with countries that account for more than half of our trade. This will increase to more than 70% once TPP enters into force, and 80% once we secure an FTA with the European Union. 2015 can fairly be called a significant year for NZ trade policy. Many of our achievements were years in the making. Only through a broad national consensus on our trade policy can governments consistently deliver what is needed over time. It is important that all parties in our parliament embrace the importance of international trade for New Zealand. Last year we brought into force the FTA with Korea that restores our competitive position with our sixth largest trading partner. This achievement received broad parliamentary support. Our accession to the WTO’s Government Procurement Agreement now enables us to access a market of US$1.7 trillion. This, too, was widely supported in New Zealand. EU and NZ leaders agreed last October to seek mandates for FTA negotiations. We are not there yet, but this achievement is really significant – it could not have happened ten years ago. I am glad that development has been warmly welcomed at home. The WTO Ministerial meeting in Nairobi last December surprised us all by delivering the elimination of agriculture export subsidies – a decades-old New Zealand ambition, recognised widely as very good for New Zealand. Then TPP – an agreement of enormous significance for New Zealand – and this is where trade bipartisanship has fallen down. It’s 40% of the world’s GDP and five new partners for NZ, including two of the top five world economies. We did not achieve all we wanted on market access – that is the nature of being the small guy in the room – but nonetheless TPP provides duty free exports to TPP partners on everything but sensitive dairy items into Japan, US, Canada and Mexico and beef into Japan; and better agreements with existing partners in key areas like IP, government procurement, services and investment. There are some relatively small costs in the agreement. But these are swamped by the benefits. We have a very positive story to tell. We want our story to be told fairly and accurately to as many people who wish to hear it. As for the legislative changes needed to ensure that NZ can meet its commitments, these will undergo the full parliamentary process. There is no skimping on the democratic process as some might allege. 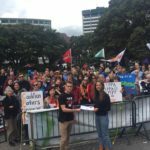 But it’s fair to say that we can do better to explain both the benefits of trade agreements and the protections that are included for policy making and, importantly too, for Maori and the Treaty of Waitangi. The TPP roadshow and hui process to inform the public, Maori and business stakeholders of the benefits has been more extensive than ever and these efforts are continuing throughout the country. 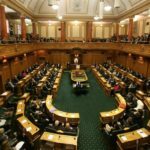 I stand by the results of TPP and the way that we have presented this in a timely and complete fashion to the public, however given the heightened interest in trade agreements and the importance to our economy we need to approach any new agreement afresh and work to ensure that we take people with us. It concerns me that our previously bipartisan approach to trade has been hijacked by domestic political myopia. It is my intention to work to rebuild this bipartisanship across parliament so that we can work to build a more prosperous future for all New Zealanders. We need to secure our place at the heart of future trade agreements which will build on the achievements of TPP. After TPP, the remaining key trading partner without an FTA with us is the European Union. Last year, the Prime Minister and EU Leaders agreed that we would begin the process of seeking mandates to negotiate an FTA. This prospective negotiation perhaps provides the best opportunity to build on existing approaches to consultation and transparency so that no-one can fairly say that they were not aware of the issues under negotiation or that they did not have ample opportunity to engage with negotiators. Scoping discussions for the EU FTA are now under way and we aim to start negotiations proper in 2017. Late last year the Government issued a call for submissions on an FTA with EU. 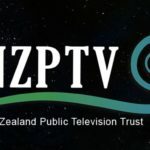 I noted at the time submission were sought that this is only the first in a number of opportunities for New Zealanders to make formal and informal submissions and inputs into the process. There will be a systematic programme of engagement during and after negotiations. I expect that a large amount of material will be made available on the issues in the negotiations so that everyone can effectively engage. The nature of trade negotiation is, however, adversarial, even with our closest friends or allies. For this reason we will need to carefully balance the desire for greater public engagement against the necessity to keep negotiating strategies confidential. In striving to get the very best deal that we can for New Zealand, I am not willing to publish information which weakens our current or future negotiating positions, or binds the hands of our negotiators – to do so would be reckless. I know the public would not want that to happen. Other FTA processes continue this year. In the Pacific, PACER Plus is likely to be finalised this year – good progress has been made in recent rounds of negotiations. Considerable work remains on the other big mega-regional agreement we are involved with – the Regional Comprehensive Economic Partnership (or RCEP), but we are committed to an ambitious outcome. I was in China last week with the Prime Minister and you will have followed the China FTA upgrade issue in the news. I believe that the Chinese government understands well our position that the upgrade does not make sense without addressing the key issue (for us) of dairy safeguards. We have agreed to keep talking and I will be meeting my counterpart again when APEC Trade Ministers meet next month in Peru. I believe we will make progress but need to be realistic about what might be achievable and over what time-frame. At this point, however, I need to return to the World Trade Organisation. Nairobi was a success. We should capitalise on this momentum. We are encouraging WTO members to consider addressing outstanding issues in fresh ways, including bringing an open mind to proposals advancing the Doha agenda. We think that domestic support in agriculture should be squarely on the agenda as one of the issues needing an outcome at the next Ministerial Conference in 2017. Meanwhile our negotiators continue to push forward our interests in two other Geneva-based negotiations – Environmental Goods and the Trade in Services Agreement – or TiSA. So you can see that out negotiating agenda remains full and is likely to maintain a level of high intensity for some time. But trade agreements are only beneficial if they are actually used by businesses. This requires ongoing engagement between government and business to promote FTAs and ensure that agreements are operating as intended and that they remain relevant. I am also looking to the next 20 years. Our existing Trade Policy Strategy – now 20 years old – has delivered significant gains for New Zealand and New Zealanders. The four-track framework – unilateral, bilateral, regional and multilateral – has proved to be both flexible and robust. But there have been big changes since 1993. It’s therefore timely to refresh our strategy. I am looking for evolution, not revolution. We want to complete outstanding negotiations and increase our focus on implementation. Beyond that, we will want to put more effort in implementing our existing agreements (including periodically updating some of those agreements). Government will work with business to realize the maximum benefit for New Zealand from our agreements. The WTO will remain important. It’s the only forum where we can achieve disciplines on agricultural subsidies; and with New Zealand companies trading globally, setting trade rules globally through the WTO makes sense for New Zealand companies. We will also use WTO dispute settlement to enforce fulfilment of obligations owed to us – such as our current dispute with Indonesia. Tariffs are still critical impediments for some industries. So we will seek opportunities, including in the WTO, to address these remaining tariff peaks. But with progress on tariffs, we should be able to increase our focus on the barriers and distortions to our goods exports caused by technical barriers to trade. We’ll do this through our FTAs and through other instruments such as mutual recognition agreements. There are also important non-tariff barriers affecting services exporters and investors. We have already started to look at improving coordination and focus across government agencies on these. Services and investment are of increased importance. Services comprise the majority of our GDP and make up roughly 30 per cent of our exports. Trade in services – often the classic ‘weightless export’ – is especially important to New Zealand as a way to reduce the enduring challenge of distance from markets. To move up the value chain and add value to volume, exporters co-sell services with products; and to get closer to the customer (e.g. in marketing and distribution) requires offshore investment. E-commerce, or trade in the digital economy, has seen an increased range of ‘digital products’ that can now be delivered to customers directly over the internet. This should be of particular importance to New Zealand, as another means to reduce the distance from markets. I have been discussing our Trade Policy strategy with stakeholders and other interested New Zealanders. Other Ministers are also having such discussions. So I encourage you all to provide feedback on what you think is needed. In saying I want greater public engagement it make sense for us to use our Trade Policy refresh as a starting point. I expect to engage directly in the coming months, and will hold a number of sector and public meetings to discuss the future of trade. However, I need your help on a wider issue as well – the importance of trade. We are a trading nation. Trade is important to us. We need good access to good markets. Our students need the ability to trade their education for lucrative jobs. We need to talk up the benefits of trade together. Those extra jobs you create and the new markets you sell into, are a result of New Zealand’s free trade access to the world. We need to tell the story of why trade benefits all New Zealanders, large and small. Let’s tell that story together.